As if you needed another reason to visit Disney Springs, Amorette’s Patisserie have added “Wine Slushies” to their Adult only beverage selection to join Champagne, Sparkling Wines and Bellini’s. The press coverage has gone wild as initial reporting mentioned availability in Disney Parks rather than Disney Springs. Images of guests sipping their slushies whilst waiting in line for Space Mountain in the summer heat soon faded when the actual location was revealed. 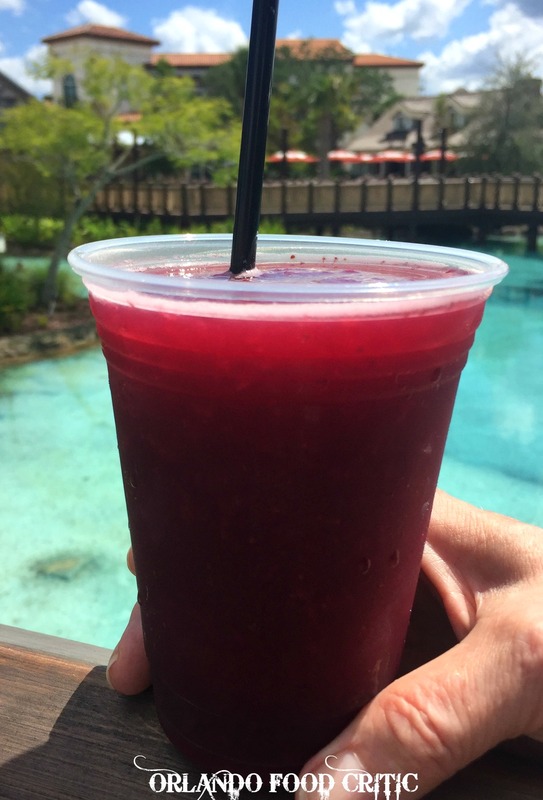 In any case on a Hot Hot day like today, walking around the “Springs” with a Strawberry Shiraz wine slushie in your hand can’t be a bad way to spend the afternoon.